You can receive timely information from the society. Mass spectrometry was invented and developed to address a broad range of applications in the fields of physics and chemistry. These days, there are almost no research fields or industries in which mass spectrometric technologies are unutilized. 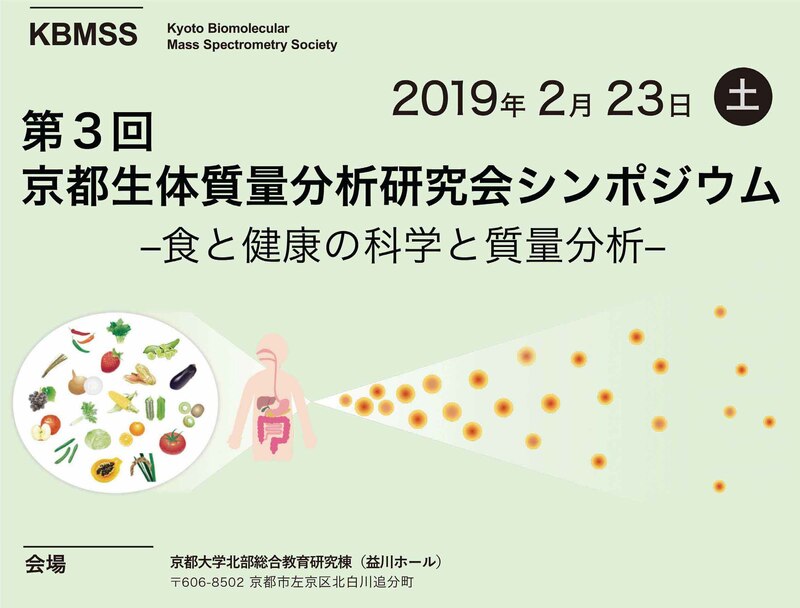 Expansion of the range of applications for mass spectrometry is especially remarkable in the life and health sciences and various interdisciplinary fields that target biomolecules or biological systems. The necessity and importance of biomolecular mass spectrometry will undoubtedly continue to increase and expand as we move forward. 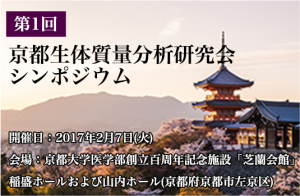 The Kyoto area is blessed with a superb environment that ensures its future as a leading region for biomolecular mass spectrometry. The number of research institutes, medical institutes, and companies working with biomolecular mass spectrometry here are in a period of explosive growth. Moreover one of the nation’s largest mass spectrometric instrument manufacturers is based in the area. Yet despite these advantageous circumstances, there have been no well-prepared systems to facilitate inter-organizational collaboration among the various parties working in and around Kyoto. 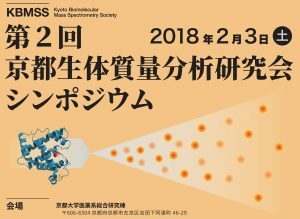 We established the Kyoto Biomolecular Mass Spectrometry Society (KBMSS) in September 2016 for the purpose of surmounting this situation and helping reorganize Kyoto into a center for biomolecular mass spectrometry.